Lineage OS 15.1 is available for many Samsung phones, in fact for many Android devices as of now. This post exclusively covers LineageOS 15.1 for available Samsung Phones, both OFFICIAL LineageOS 15.1 and UNOFFICIAL list of supported or available devices. Recently we have also covered the OFFICIAL LineageOS 15.1 rolling out for many devices, but the list is very small. This page is dedicated to maintain the available LineageOS 15.1 download for all Samsung phones and tablets ONLY. There will be two such lists updated (as below) containing UNOFFICIAL Lineage OS 15.1 and OFFICIAL Lineage OS 15.1 Downloads list for available Samsung phones. Well, the OFFICIAL LineageOS 15.1 for Samsung has a very minimal list because of stringent guidelines of LineageOS team to support LineageOS 15.1 and expected to grow slowly. Just stay tuned to this post if you want the latest LineageOS 15.1 ROM for your Samsung phone. What if your device does not have the Lineage OS 15.1 Oreo ROM in the OFFICIAL or UNOFFICIAL list? Well, it is possible that no developer has built the LineageaOS 15.1 for your Samsung phone or it’s just missing from our list. You can search for other Android Oreo or Nougat based ROMs list to find an Android update for your device. Lineage OS 15.1 is not available for all of the Samsung phones and out of the available builds, we may not have added all of the Samsung phones in the list. If you find your device missing, then just login and place a request for your device. I will try to search and bring it for you. Can someone tell me what is the latest Lineage OS for Samsung Tablet, N8013 (2012 Wi-Fi) and Note 4, Verizon, SM-N910V, please? And direct me to the where I can download the file. Add LineageOS 15.1 OFFICIAL for SAMSUNG GALAXY S3 MINI please, I’m waiting anxiously! Thanks! [ROM] LineageOS 15.0 for Samsung Galaxy J3 (2016) [SM-J320FN] [UNOFFICIAL]..
You can add android pie lineage for Samsung C7 2016 (SM-C7000), thank you! Is there any oreo build for Samsung Galaxy Tab A 8.0 2015 (SM-P355)? I hope you can build one for this model. 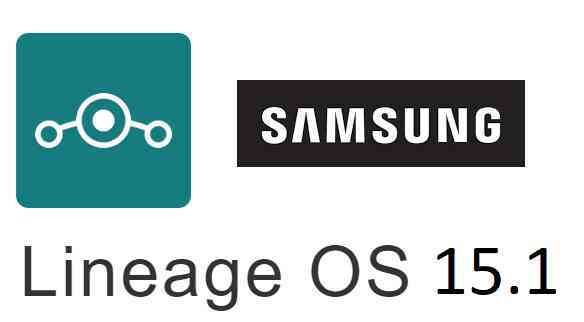 Hello, as big fan and current user of lineageOS 14.1, I would like to request you to add LineageOS 15.1 for the Samsung Tab 3(SM-T311). Currently I using LineageOS 14.1 on this device. I’m really excited about 15.1. Please add. Thanks! It’s hard to build one for S3 I9300 ? When will s3 i9300 get the official los 15.1?? Please add Samsung Grand New Plus gt-i9060i and thanks. could you please make a lineage 15.1 for my samsung SM-t310 tablet, or Samsung SM-T210 Tablet, or HTC Desire 610 phone? (sm j111f/da) having 8 gb memory, 4g lte cat4 ,1.5 GHz quad core processor. lineage os is most demanded custom roms available now. Hi, we would really like if you could bring Oreo to the Samsung Galaxy Tab Pro 10.1′ (n2awifi) SM-T520 . THANKS!!! Você tem a ROM LineageOS 15.1 para o Samsung S3 i9300, onde eu baixo. !!!!!!! Hi can you add the Samsung Galaxy Tab Pro 8.4 Wifi (mondrianwifi) to the list? Much appreciated if you could. Hi! Galaxy s6’s ROM works on Galaxy S6 device? Hi. Is the ROM available for Samsung Galaxy Note 4 Exynos (SM-N910C)? Thanks. Great posts. LineageOS is really good. Is it possible to get a version for the Samsung Galaxy S8 Duos? It is called a hybrid for 2 simcards. please Add Samsung Grand Prime G531F. I have a Samsung Tab S 8.4 LTE (SM-T705). Is there any chance for Lineage OS 15 or 15.1 (official or not official) support for my tab? Можете ли вы добавить LineageOS 15 для Samsung Galaxy S3 GT-I9300? Recently the Galaxy S3 has Got LineageOS 15.1 Oreo 8.1 update. I have the note 3 n900w8 but I have no signal, any solution? Any chance of getting this for the P600 tablet? Hi, Please add lineage os for samsung On 5. Can you add lineage android oreo for Samsung S6 EDGE PLUS G928T TMOBILE, thanks! Hi.. please can you add a ROM for Samsung C7 Pro (C701F) dual SIM? Would you add LineageOS 15.1 for Samsung Galaxy S3 GT-I9300, please! Here it is: Galaxy S3 LineageOS 15.1 update. Can you add LineageOS 15 for Samsung Galaxy S3 GT-I9300? Yes, I agree. Why developpers skips Samsung Galaxy S3 GT-I9300, there is S2, S4 in the supported platform, but no S3. Here it is: LineageOS 15.1 Download for Galaxy S3 update. Here it is: LineageOS 15.1 for Galaxy S3 update. Can you please add official lineage os 15.1 for The Galaxy s6? Hi Jeroen, here is the official lineageos 15.1 page. Subscribe to that post so that to get notification when you get the Official LineageOS 15.1 for Galaxy S6. I think Galaxy S4 International LineageOS 15.1 is in the list above. I think the Galaxy S4 LTE variant is the international variant. Wikipedia suggests that GT-I9505 (Quad-core Snapdragon 600,China Mobile TD-SCDMA & LTE). Ah – yes – the GT-i9505 is really the jfltexx. Why did the newest lineageOS are now back on cyanogenmod.org? Will this port – thank you – be taken to the nightly build of Lineage 15.1? How does this normally go? Hmm… that’s a nice question. If you see some of the differences between OFFICIAL and UNOFFICIAL LineageOS 15.1, the second difference in the list says a device port has to follow LineageOS Device Support requirement norms if it has to be included to Official LineageOS 15.1. Developer Side has brought you the LineageOS 15.1 build and he is the maintainer of Official LineageOS 14.1 build. If he is working on LineageOS 15.1 build then it’s possible that Official NIGHTLY will come to Galaxy S4. Can you add rom for samsung galaxy core gt-i8260? If you could look into adding a room for the Tab E lite (sm-t113). It’s a nighty little tablet that a lot of people have just suffered from laggy firmware and poor ram management. Please add Galaxy Tablet Note 8 (N5100) on the list. I would like to experience Android 8.1 on my device. Samsung Tab pro 8.4 T320 pls ! It is such a fine device, but ROMs are not available, please, thanks! Here is the support comes: Download LineageOS 15.1 for Galaxy S3. I would love to upgrade my galaxy tab 12 (st-900) to lineage os 15+. Thanks in advance. My device is still in good shape, but lineage os 14 generates random screen flashes. Please I´m looking for a oreo rom for galaxy j7 2017 SM-J730F thanks. Please add Samsung Galaxy Tab a7.0 (sm-t280). Can you add lineage android oreo for Samsung S4 GT-I9515VE, thanks! Can you add lineage android oreo for samsung C7 2016 (C7000) , pls thanks!